Sarah noticed something weird today — might be related to her recent upgrade of her iPhone 4’s OS to iOS 7-point-something. Or maybe not. 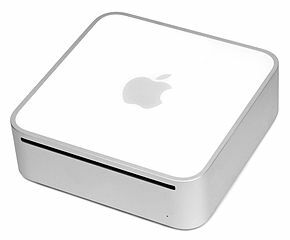 Our aging Mac mini is what we’re keeping around for iTunes purposes. It’s how Sarah gets her stuff (apps, podcasts, music, etc.) onto her iPhone. The mini model we have only has an 80GB drive, so our collection of music and apps and stuff has to reside on an external drive, a 1TB USB 3 external drive we snagged in Hong Kong a couple years ago. Up until this week, that drive worked great even through a powered USB hub. We plugged it in after bringing home, migrated our iTunes music library onto it, and forgot about it. Hers has a few more scratches. …until it started making ominous clicky noises this week. That started the beachballing in the Finder. I thought for sure the drive must be kaputt, but after unplugging it and replugging it and running the diagnostics on it via Disk Utility, everything still seemed hunky dorey. I even ran Apple Jack to see that would help with anything. Sarah mentioned that it only made the clicky noises when her iPhone was plugged in, and that it might have been around the same time that she was applying an update to iOS7. But this all seemed pretty strange to me. 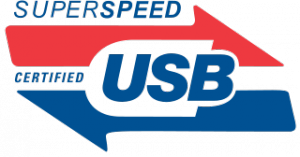 Could an iOS update really influence the mounting behavior of external USB drives? Sure enough, while the drive was making the clicky noise, I unplugged her phone and the drive mounted itself normally, ready for use. I googled some for it but couldn’t find any direct hits immediately, or even anything close. I saw other people with newer computers and external drives discussing voltage differences through USB hubs and overheating problems, but nothing that seemed applicable to our situation. But on a whim, I tried plugging the USB drive into the last remaining available USB port on the Mac mini — skipping the USB hub completely. And it seems to have worked. iPhone and USB drive are both plugged in and working normally. Hope it stays that way.